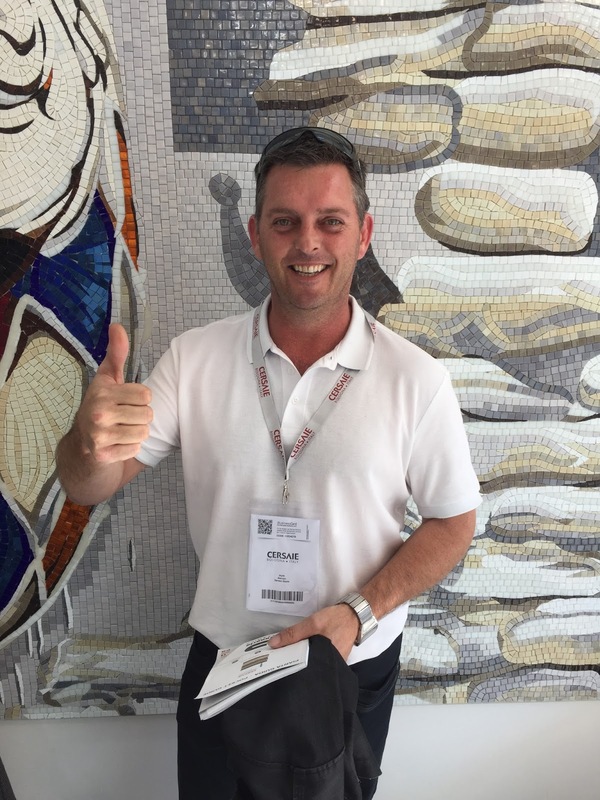 Who has been to CERSAIE 2016? Duncan Blyth from Sareen Stone in NSW Australia has been spotted. Sareen Stone is a LATICRETE stockist. 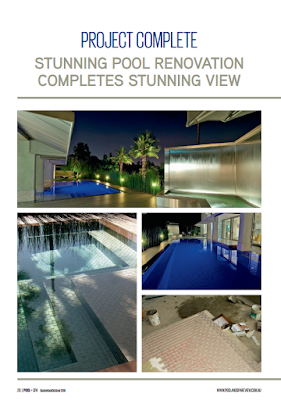 They are a major supplier of natural stone for commercial projects and high end residential projects. Sareen Stone import stone tiles of the highest quality from Italy, Turkey, Egypt, Germany, Iran and India. 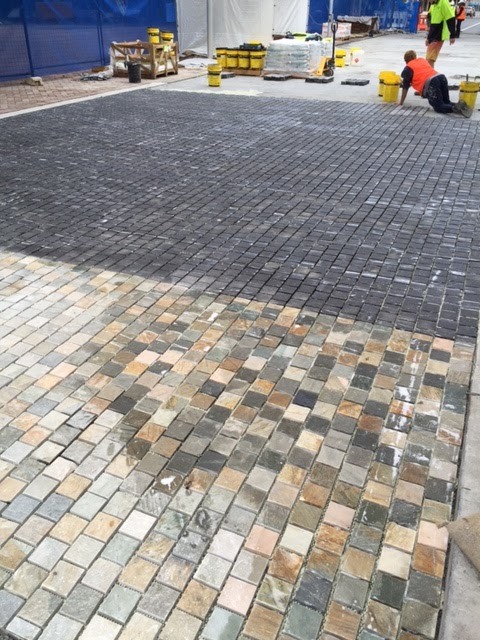 The team at Sareen Stone pride themselves on being experts in their field. Mark Kennedy is a talented mosaic artist based in the United Kingdom. Mark has been busy at the show mosaicing a statue of liberty with LATICRETE thinnest adhesives - we can't wait to see it completed! You may recall we've previously blogged on Mark and the mosaic tribute he had done on Dr H.M Rothberg. Friday the 30th September is the last day of CERSAIE 2016. Come say hi and get to see what LATICRETE is up to. LATICRETE markets more than 100 different products, most of which we invented and pioneered over the last 60 years. The breadth of our product lines and the technology behind them are unparalleled. Whether you're an architect, contractor or homeowner, only LATICRETE offers the experience, know-how and technical support to provide you with the knowledge to succeed on your next project. Want to learn about industry first products that save you time and money? Join LATICRETE for a trade event at Walker Tiles on 20 October 2016 at 4-7pm. This is a great opportunity to chat with your local Technical Sales Rep, Craig Hunter. 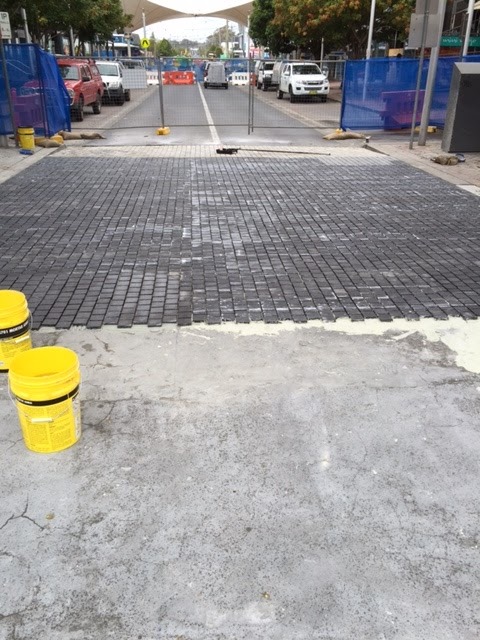 Find out how LATICRETE Systems and Warranties can turn your project into another globally proven tile and stone installation! See Craig on the day to claim your door prize! 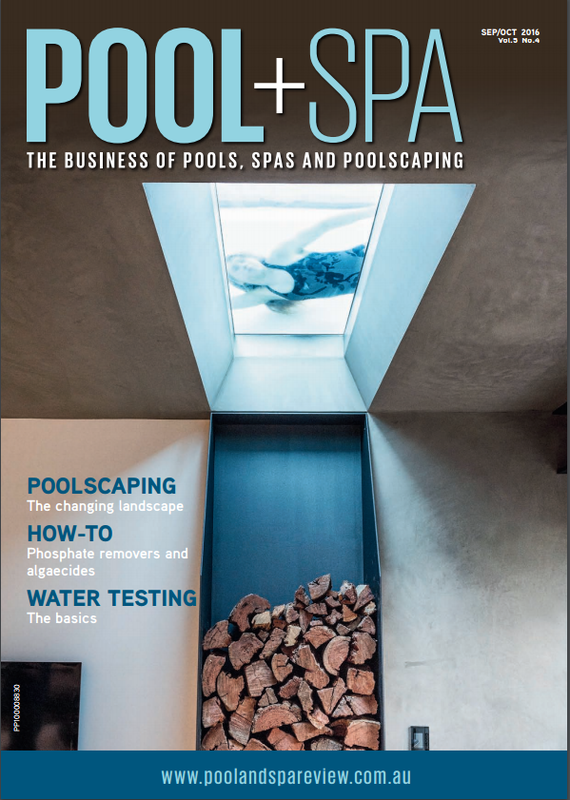 Latest Issue of Pool+Spa is Out Now! Check out the digital version of the Sept/Oct issue of Pool+Spa mag here. "A spectacular view demands a spectacular pool, and this pool overlooking Beverly Hills didn’t match its stunning surroundings. Not only was it dated, with a design that didn’t flow with the architecture of the property, but it had also been poorly constructed, creating serious issues with water intrusion relative to the perimeter overflow system. The previous design had wedding cake-like steps and radius coves that weren’t in keeping with the rectangular, hard-angle geometry of the house. The owners engaged Rock Solid Tile to renovate the pool so it would do justice to the stunning view." LATICRETE will be at CE Construction Solutions on Wednesday 19th October for a Information Trade Brekky Morning. We would love you to come join the fun! This event is a great opportunity to chat with your local LATICRETE Technical Sales Rep, Craig Hunter, and find out how LATICRETE Systems and Warranties can turn your project into another globally proven tile and stone installation. STRATA_MAT™ - Next generation high performance uncoupling mat. 3701 Fortified Mortar Bed - Just add water to produce thick bed mortar with exceptional strength. 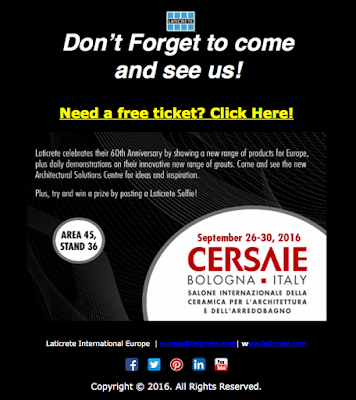 CERSAIE is one of the largest ceramic tile expositions in the world and LATICRETE will be there! Come visit LATICRETE, Area 45 Stand 36 - at CERSAIE Bologna, Italy, where we will be showing industry leading, innovative complete building system solutions, methods and technologies. NSW Profit Through Knowledge a Hit! "What a great day. Just attended a very informative seminar from some innovative industry leaders. Thanks to the guys at LATICRETE Australia, cant wait for the next one." - Ian, Surface Safe. 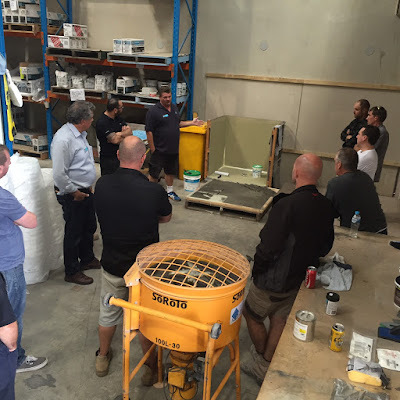 Last week LATICRETE Australia held a free Pool Tiling Installations Systems training day at the LATICRETE NSW Training Centre located at Smeaton Grange. In attendance was a cross section of industry relative people, including pool builders, pool tilers, renderers, landscapers and suppliers. Attendees were actively involved in discussions, classroom learnings and hands on demonstrations of LATICRETE products, from substrate preparation right through to grout and sealant, for successful pool tiling installations within the documented LATICRETE Swimming Pool Systems Warranty and Pool, Spa and Fountain Tiling Systems brochure. Relevant Australian standards pertaining to swimming pools were highlighted, and the group received certificates for their training. Kim's - My Tile Market in Roselands, NSW, received a visit from Craig Hunter, LATICRETE NSW Technical Sales Rep, with some new LATICRETE signage. Hayden and the team are excited to put up their new display! 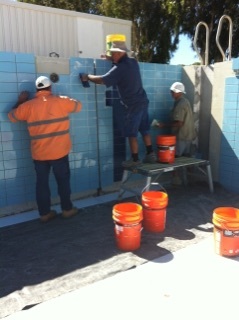 Kim's - My Tile Market in Roselands is your local LATICRETE stockist. Drop in to visit or contact Hayden and the team - they stock a substantial and extensive range of LATICRETE products. 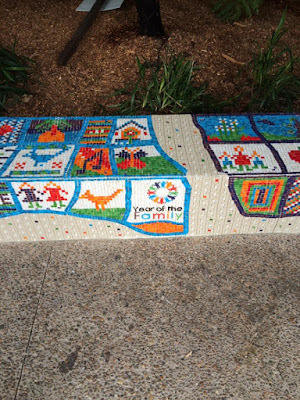 Over the last couple weeks we have been following and also shared in the progress of the community project, Nepean Hospital Mosaic Mural by Marian Shapiro Mosaics. The community project was facilitated for the Mental Health Service Year of the Family Initiative. 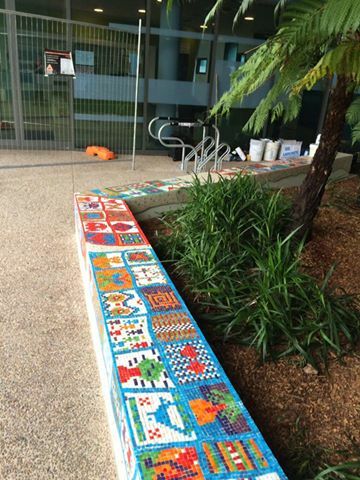 Marian worked with clients, family members and staff to produce five mosaic quilts that were installed permanently on a low wall outside the unit. 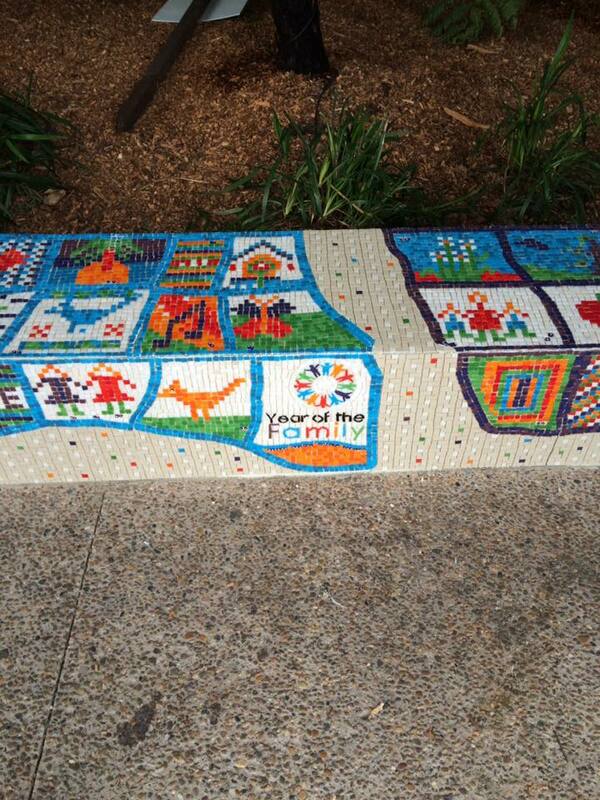 The mosaic mural was grouted last week and we are excited to share in the photos of the completed project! Thank you Marian for sharing in this amazing project and for your continued support! 345 Platinum - The ultimate one-step, polymer fortified, thin-set adhesive. For interior and exterior installation of ceramic and stone tile, reduced thickness porcelain, quarry tile, pavers and thin brick. 345 Platinum provides long open time with unsurpassed adhesion and workability. Click here for more info. PERMACOLOR® Select - an advanced high performance cement grout that offers the industry’s first dispersible dry pigment solution. PERMACOLOR Select is designed for virtually all types of residential and commercial installations and offers optimum performance on the most demanding exterior or interior applications. Click here for more info and to view a YouTube video. Last week Neil Warden, LATICRETE Australia National Sales Manager, and Craig Hunter, LATICRETE NSW Technical Sales Rep, attended the Amber Tiles 2016 Performance Awards evening in Sydney, NSW. We are excited to share LATICRETE was presented with the Community Award. The Community Award is awarded to the supplier who supported the Amber charity and community initiatives the most throughout the year. Neil and Craig received the award from Amber Tiles General Manager, Phil Crawford. 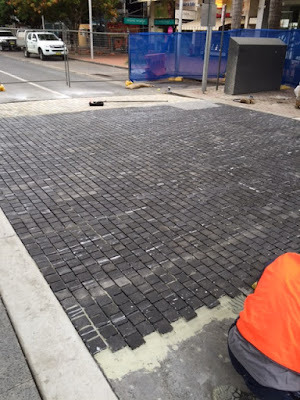 The Harbour Drive Streetscape project is currently underway and consists of granite cobblestone being installed over 400m2. "We decided to high pressure clean and mechanically broom to give a great clean solid surface to adhere to. Screed coverage on average is: 1 x 20kg 226 mixed with 1.7ltrs of 3701 covers 1m2 at 10mm thick. We went with a 335 slurry bond coat of :1 x 20kg to 5.5ltrs of clean water - this is broomed on leaving an even 2-3mm coating over the surface. Followed by mixing 3 x 20kg bags of 226 mixed with 5ltrs of 3701 giving us the perfect mix which it's currently 19* - 20* temperature. Everyone from EPA officer, Work Cover Officer, Council Supervisor and workers are all happy with the LATICRETE support." 3701 Mortar Admix - Used in place of water, improves the working and physical properties of any cement mix and provides an economical and easy way to make permanent, trouble-free installations of ceramic tile, brick and natural stone. 335 Premium Flexible Adhesive is a high performance thin-bed adhesive for installing a wide range of tiles and stone including low absorption ceramic tile, porcelain tile, natural and manufactured stone using thin-set method of installation. Exceeds the requirements of AS4992.1 and AS4992.2 classification C2TES1. Click here to view/download the Tile, Brick & Stone Streetscape Brochure. 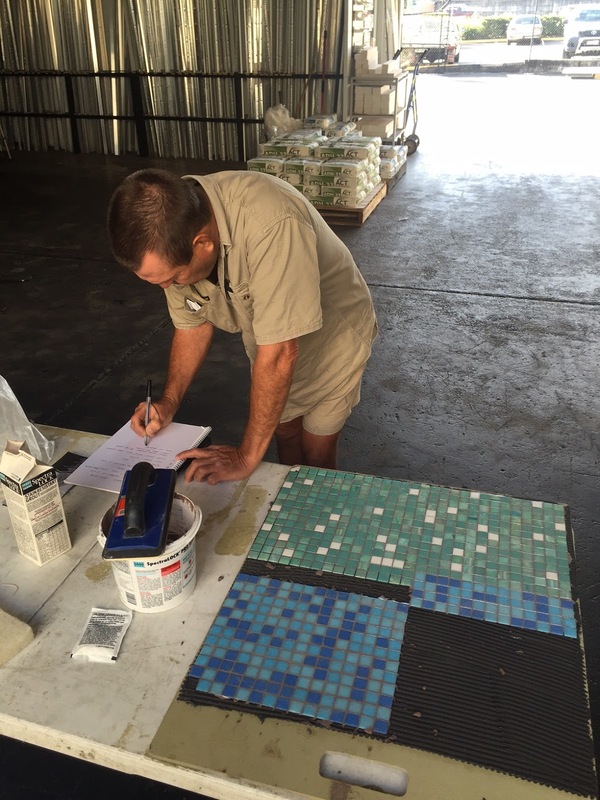 LATICRETE QLD Technical Sales Rep, Mitchell Haw, recently spent time with Phil from Tilers Trade Centre in Kuluin, QLD, and demonstrated the designers choice in "Stain Proof" grout - SPECTRALOCK® PRO Grout. SPECTRALOCK PRO Grout is a patented, high performance epoxy grout that offers colour uniformity, durability and stain resistance with extraordinary ease of use. SPECTRALOCK PRO Grout is designed for use on ceramic tile, glass tile and stone, both residential and commercial and it can be used on interior and exterior walls or floors. 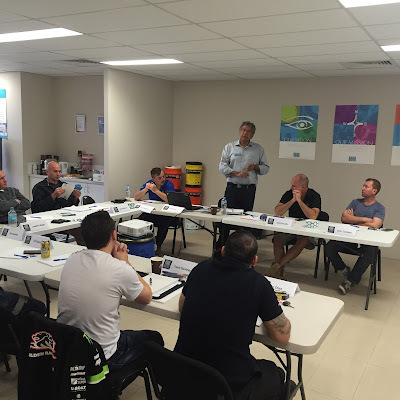 Contact us to arrange training, a demo or for technical support, call 1800 331 012 or email sales@laticrete.com.au. Labels: Amber Maroochydore, Amber Tiles, demo, education, learn, SPECTRALOCK PRO Grout. 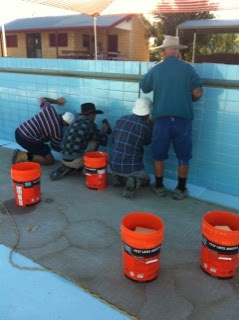 Check out this 300m2 commercial pool project underway in Barcaldine, QLD. 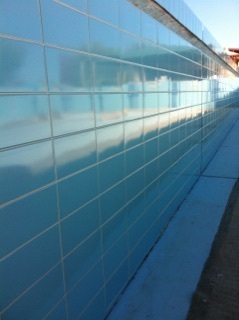 The project will see the refurbishment of an existing 25m concrete pool shell being tiled with ceramic gloss tiles. 315 Super Floor & Wall Adhesive - A high performance thin-set adhesive to install tile and stone using the thin-bed method of installation. Mix with water or fortify with LATICRETE latex admixture. 4237 Latex Additive - A specially designed latex additive for use with Portland cement to make slurry bond coats for mortar beds and with thin set adhesives to give improved performance and longer open time. SPECTRALOCK® PRO Grout - A patented, high performance epoxy grout that offers colour uniformity, durability and stain resistance with extraordinary ease of use. SPECTRALOCK PRO Grout is designed for use on ceramic tile, glass tile and stone applications, both residential and commercial. Are you getting ready to start a project? Contact us for technical advice or to arrange free samples. Call 1800 331 012 or email us here. Hurry - Limited Spots Left! Reece Irrigation Now Stocks LATICRETE! Welcome to Spring & a Great LATICRETE Promo!